MOORESVILLE, N.C., April 3, 2019 /PRNewswire/ — Imagine the home improvement professional who is mid-project and breaks a drill bit. Or the DIYer who finds herself short a gallon of paint to complete a bedroom touchup. Instead of heading out the door to the neighborhood Lowe’s, they grab a phone or laptop and order online – then go right back to work until a robot rolls up to their location with that critical item, the very same day. Lowe’s is helping FedEx understand Lowe’s customers’ needs in an effort to bring those visions to life with same-day delivery via the FedEx SameDay Bot. FedEx is developing this technology to provide safe, efficient and environmentally friendly delivery in localized areas. The FedEx SameDay Bot will rely on pedestrian-safe technology to navigate the path to its destination. 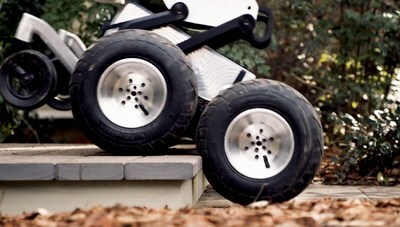 The Bot is being developed to operate on sidewalks and along roadsides, remain stable and avoid obstacles, while negotiating curbs, unpaved surfaces and tight turns. Gyroscopic technology helps keep cargo level and still. And while that agility can simplify access to a busy construction site, same-day, on-site delivery’s greatest value might be allowing contractors to continue working without costly interruptions and delays. 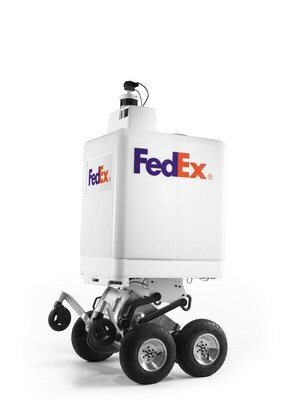 FedEx aims to begin testing the robot in select markets this summer.